Pillow Thought: Tea Party & Over the Loom Back to School Giveaway!! Tea Party & Over the Loom Back to School Giveaway!! Before Preschool started back I wanted to make sure we checked one last thing off our summer to-do list! It was to have a little tea party, just me and Lex! We wore dresses, high heels, accesorised and felt all fancy! and repeatedly tells you how fun it all is! 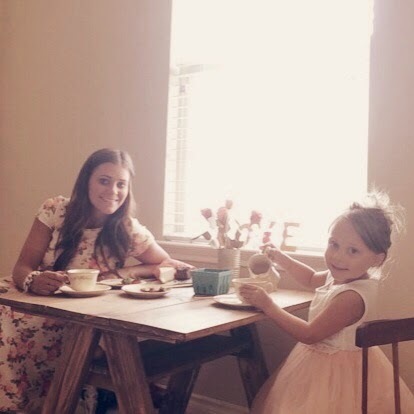 It was our first of many tea parties and I hope she never stops being my little best friend! What an adorable tea party! I can't wait till my daughter is old enough to do this :) I've saved all my tea sets from when I was little so I can't wait!! ohh she will love it!! Thats fun you have your tea sets! !